Joined by some of the wonderful team from KZN Slots who donated mugs filled with easter eggs for this visit, our 3rd #MugsAndMallows2018 visit took us to Issy Geshen in the heart of Lamontville this morning, where Nanah, Derek and the team welcomed our volunteer with their beautiful warmth. It is always a truly humbling time when we visit Issy Geshen – we love the warm smiles, the big loves, the laughter and song shared over a cup of tea and some snacks. 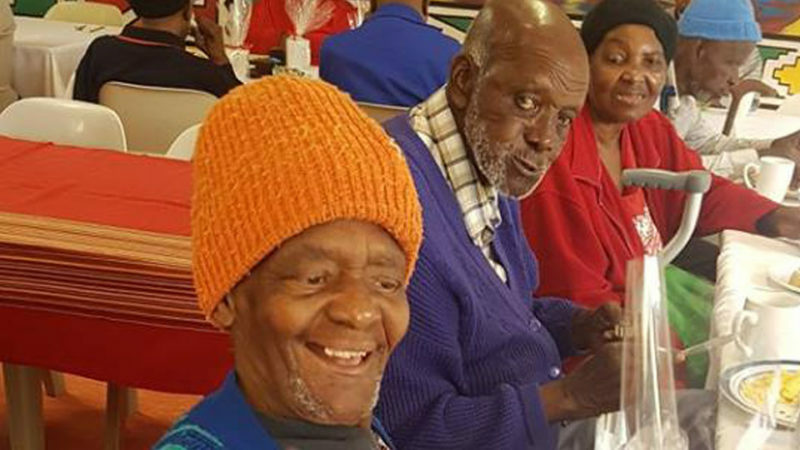 The residents here face so many hardships each day, and yet their hearts are still so full of love and they are so happy about the visit and have so much joy to share. Thank you to each and every person that has donated their mugs and mallows towards this campaign – it really is touching to see such joy over such a small act of kindness.